DAVID LE/Staff photo. 3/7/15. 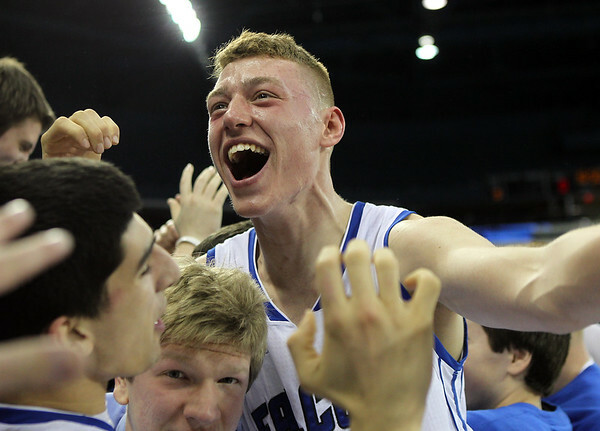 Danvers senior captain Peter Merry flashes a wide smile while celebrating with fans following the Falcons 50-47 win in the D2 North Championship.